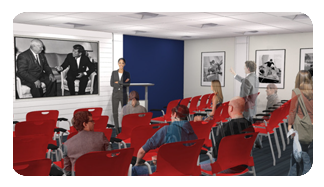 We’re pleased to offer your company a unique philanthropic opportunity with the John F. Kennedy Hyannis Museum. Corporate support plays a vital role in allowing the Museum to continue offering engaging exhibitions, dynamic cultural programming and enriching educational opportunities – enjoyed by over 70,000 people each year. 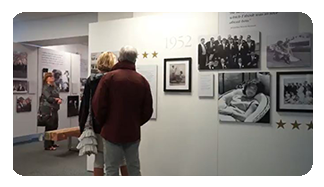 With your support, we’re preserving President Kennedy’s unique local heritage and working to make history come alive by focusing on topics centered on nonpartisan themes of civic engagement, public service, and JFK era American/world history. 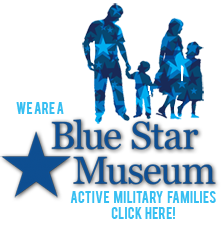 Aligning with the Museum provides your company a meaningful way to support the community. 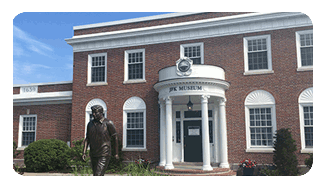 With 70,000 annual visitors and a growing presence, the JFK Hyannis Museum remains the 4th major visitor attraction on Cape Cod. It is an integral part of the Cape’s tourism profile and a significant economic engine on Main Street in Hyannis. Approximately 81% of our visitors are from the United States, including many local and seasonal residents. We also enjoy a strong International audience (from 29 countries). Our audience includes history enthusiasts, students and life-long learners. We also serve over 2,000 local school children each year, 64% of whom are underserved – including low income, English as a second language and differently abled. We’d love to talk with you about partnering! (508) 790-3077 x6 or moira@jfkhyannismuseum.org. Join us as we enhance our community though history, education and culture!